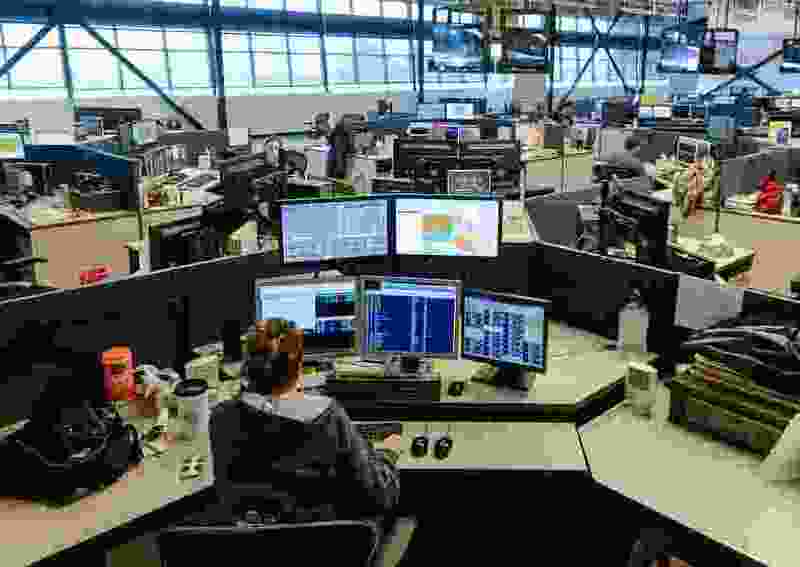 (Francisco Kjolseth | Tribune file photo) Dispatchers work police, fire and individual calls at the Salt Lake Valley Emergency Communications Center (VECC). Lawmakers approved a fee increase in the recent legislative session that is aimed at a multimillion-dollar upgrade of the statewide 911 emergency system. Gov. Gary Herbert let a bill go into law without his signature Wednesday that imposes a 178% increase in a statewide 911 fee. The measure was one of just three Herbert didn’t sign — a signal of displeasure — but stopped short of vetoing. It will mean a 16-cent per month increase in the monthly fee charged on every cellphone and landline in the state beginning July 1. While that doesn’t sound like much, it adds up to real money: $5.2 million next year and, by 2022, $8.4 million. Opposed by some lawmakers as a tax hike, the bill is intended to cover the costs of a massive upgrade of 911 technology in the state. The change is aimed at increasing the accuracy and reliability of 911 service, implementing a new generation of equipment that will allow “pinpoint routing” where a call goes directly to a 911 center rather than being routed through a cellphone tower. This planned multimillion-dollar overhaul — officials haven’t provided a cost estimate because they have yet to solicit bids — comes on the heels of another pricey equipment upgrade. The Utah Communications Authority (UCA) is in the midst of contracting for a $50 million purchase of new two-way radios and related equipment for first responders. The contract negotiations have been temporarily placed on hold while the losing bidder appeals the decision. “Because the stakes are so high with the Next Generation 911 and because our 911 systems need critical upgrades, I agree that SB154 should become law,” the governor wrote in explaining his decision not to sign the bill. “However, the Utah Communications Authority should do more in coming months to articulate a clear business case including performance measures, the need for a 178% increase in the statewide 911 emergency service charge, and a plan to incorporate improvements resulting from this bill into the overall 911 structure." The bill was backed by the Utah Sheriffs’ Association, the Utah Chiefs of Police, the Utah Association of Counties and the Utah League of Cities and Towns. It also eventually won the support of an overwhelming majority of legislators, but not before a lot of debate and significant changes. In the end, the bill that passed was the fourth version, and made it through only after it was defeated, then resurrected, on the House floor. Thurston compared it to a sales tax increase on food. The Utah Taxpayers Association complained that the state already has the 11th highest cellphone tax rates in the country, said Rusty Cannon, the organization’s vice president. Tina Matthieu, a former UCA board chairwoman and executive director of the Weber Area 911 Center, defended Utah’s current total emergency fee of $1.32 monthly, which she said is as much as $5 in some states. The Legislature just two years ago increased the 911 fee by 56 cents monthly, generating an extra $19 million a year for UCA. One of the concerns among lawmakers was the checkered history of the UCA, which was the victim of a 10-year $1 million embezzlement discovered in 2016. After discovery of the theft and the resignation of top management, the agency came under scrutiny for numerous problems — including its lack of transparency by violating open meetings and financial reporting laws and its exemption from state purchasing rules. Rep. Keven Stratton, R-Orem, even suggested the independent agency be rolled into the state’s Public Safety Department because of its troubled history and continued complaints of poor communication with rural telecommunications networks.